Retail Theft charges, regardless of whether they are classified as misdemeanors or felonies, are considered by the criminal justice system to be “crimes of dishonesty or untruthfulness.” If you were to be formally convicted of a theft offense, your credibility would be forever open to question. Many professions require that you disclose the fact of a theft conviction as part of the licensing application process. Your ability to pursue a career in law enforcement, accounting, teaching, real estate, medicine, contracting, or law could be limited by the fact of a theft conviction on your record. Furthermore, positions that would require you to handle money or cash, such as a bank teller, retail manager, or even cashier might no longer be viable avenues for employment. What is Petit Theft or Retail Theft? Petit theft Retail Theft is defined in the law as the either the actual taking or the attempt to take another person’s property so as to deny them the use of the property or any benefit (such as the ability to sell or possess an item) that would flow from being in possession of the property. See Florida Statute 812.014(1). Thefts are categorized under Florida law according to the monetary value of the property. Generally, thefts involving money, goods, or services that are valued at $100 or less are classified as second degree misdemeanors, punishable by a fine of up to $500 and up to sixty days in jail. In addition, if the property is not recovered, restitution for the item or items taken may also be part of the sentence. For items that are valued at more than $100, but less than $300, a charge of theft can be treated as a first degree misdemeanor. This more serious misdemeanor charge carries a maximum fine of $1000 and up to one year in the Pinellas County Jail. As with other types of misdemeanor thefts involving money, property or services valued at less than $100, a repeat offense will allow the prosecutor to file the charge as a first degree misdemeanor. In other words, a theft that would normally be treated as a second degree misdemeanor may be enhanced to a first degree misdemeanor when the person accused of the theft has a prior petit theft conviction on their record. Although petit theft crimes are typically charged as misdemeanors, the penalties upon conviction can be serious and carry long term implications. If you have been charged with a misdemeanor theft offense arising out of the St. Petersburg or Clearwater area, you should not be lulled into a false sense of security because the charge is “only a misdemeanor.” A conviction for a theft offense can affect your ability to obtain professional licensing, negatively impact your credibility, and allow the possibility of more serious charges should you ever be charged with a theft offense in the future. What is a Retail Theft Charge? A Retail Theft occurs when a person unlawfully takes goods from a merchant or store with the intent to either temporarily or permanently deprive the owner of the property or from realizing a monetary benefit that could potentially be derived from the property in question. See Florida Statute 812.015. Retail thefts are categorized similarly to petit thefts. In cases involving items that are valued at $100 or less the charge is typically filed as a second degree misdemeanor. Goods that are worth more than $100 but less than $300 are usually treated as first degree misdemeanors. 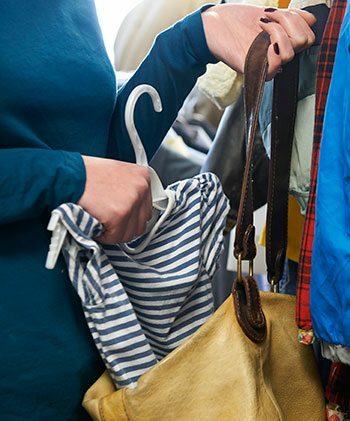 Further, a prior conviction for a retail theft will cause a second offense to be treated as a first degree misdemeanor even if the item or items taken are worth less than $100. Did You Receive a Letter From a Law Firm Threatening to Sue You? Utility theft can be charged in several different situations. Perhaps the most common scenario involves the modification, alteration or adjustment of a meter designed to record the per unit usage of a given utility, such as gas, water, or electricity. Another frequent situation is the unlawful hook-up of cable television or subscription based cable services like HBO or Cinemax. Additionally, Florida’s law dealing with utility theft also applies to instances where a person has used water or power from a neighbor’s home without permission. Utility theft is a first degree misdemeanor, regardless of the actual value of the utility service received. In fact, just the act of installing the necessary hook-up or changing the meter is enough to trigger a charge under this particular law. However, if the value of the utility service received is greater than $300, the prosecutor always has the option to charge the unlawful use of the utility as a grand theft which would cause the charge to be classified as a felony rather than a misdemeanor. In addition to the crimes of petit theft and retail theft, the Florida Legislature has also created a law dealing with the theft of gasoline when it takes place at the gas pump. This law is an attempt to deter so-called “gasoline drive-offs” by requiring that any person convicted of the offense lose their driver’s license for a period of six months for a first offense, or twelve months for a second offense. If your case involves the theft of gasoline at the pump or a situation where you have a previous conviction for a theft offense, the court is required to suspend your driver’s license for a period of six months. Even if it is your first petit theft charge, the court still has the discretion to suspend your driver’s license as part of your sentence. Evaluate the charge against you to determine if the prosecutor has properly followed the law with respect to the value of the item(s). Examine possible defenses and the ability of the prosecutor to prove the case beyond a reasonable doubt. Consider the lawfulness of the police investigation and whether law enforcement properly gathered evidence in your case. Seek a dismissal of the charge by making application to a “diversion program” on your behalf. Successful completion of the diversion program would result in the judge dismissing the charge against you. Provide facts and “mitigating” evidence presenting you in a more positive light to the judge hearing your case. Negotiate with the prosecutor and the court in an effort to secure a “withhold of adjudication.” Resolving your misdemeanor charge by securing a withhold of adjudication could be highly beneficial. You could thereafter truthfully state that you were not convicted of the charge. In addition, this would allow you to avoid the suspension of your driving privilege that could be imposed if you were to be formally convicted. Seal or expunge all of the records related to your arrest at the successful conclusion of your case. There are many important distinctions in the law governing theft offenses. If you have been charged with theft, you need the advice of an experienced and knowledgeable local attorney who can evaluate the law and the evidence in your case.